Refunds are NOT permitted, and you CANNOT cancel while in the program. 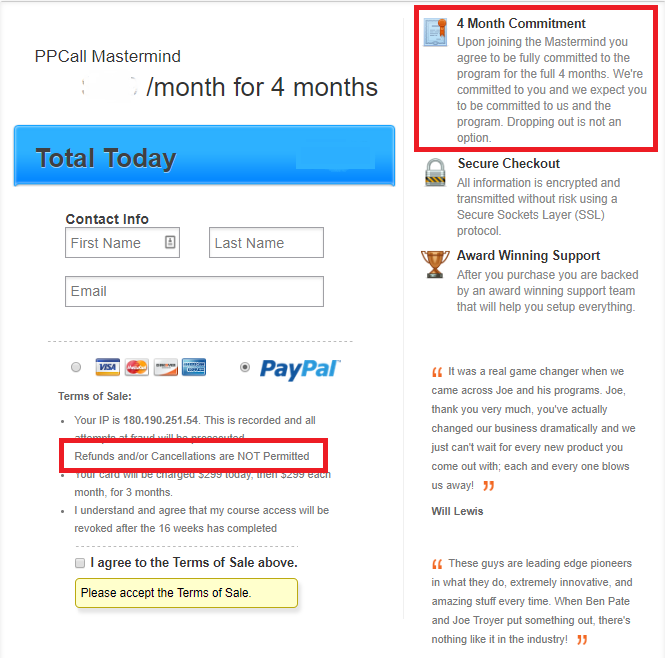 It is stated on the checkout page upon joining the Mastermind you agree to be fully committed to the program for the full 4 months. We're committed to you and we expect you to be committed to us and the program. Dropping out is not an option.